Your Photo booth hire guarantees instant entertainment for your event in Scotland, but how much will it all cost? Let us make it simple and easy so you can spend more time looking forward to your wedding, party or corporate event. We break down the cost of your photo booth hire, from the standard hire to the extra options available. Odd Box gives you the choice to create an entirely bespoke photo booth experience to ensure your hire is truly unique. Add the finishing touches to your wedding or party photo booth hire and secure your images for the future. Standard Photo Booth Hire - What is included? You can choose one backdrop and print layout from a choice of 2 backdrops and 3 print layouts which will be consistent throughout your hire. With the standard photo booth hire we provide free delivery and set up of the photo booth to various locations across Central Scotland including Glasgow, Edinburgh and Dundee. Props are always included with every hire unless you request to leave them out, a huge variety of high quality and hilarious props are supplied to keep your guests entertained for hours. 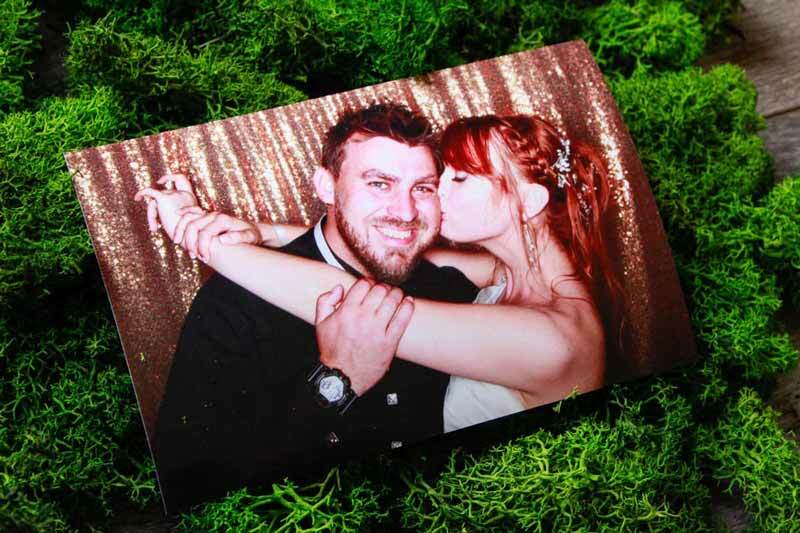 Prints are unlimited as you simply hire by the hour meaning guests can return to the photo booth as many times as they wish during the hire period for more prints. Guests can choose from colour or black and white prints and they will receive two printed copies every time they use the photo booth. The fun doesn't stop once the photo booth hire is over. The very next day all of your guests can access the images on your online gallery. Guests can view and purchase high resolution digital copies of the single images captured along with extra prints in various sizes and styles. You and your guests can also download free high resolution digital copies of the printed images captured from the photo booth. To make sure you experience the best photo booth hire possible we provide helpful and friendly attendants to assist your guests so you can relax and focus on sharing those special memories. The basic hire is guaranteed to create instant laughter and excitement at your event. This is perfect if you are working within a budget or simply require a unique photo booth to capture those special memories. If the standard hire sounds great but you need a few special extras you can create your own unique photo booth package. 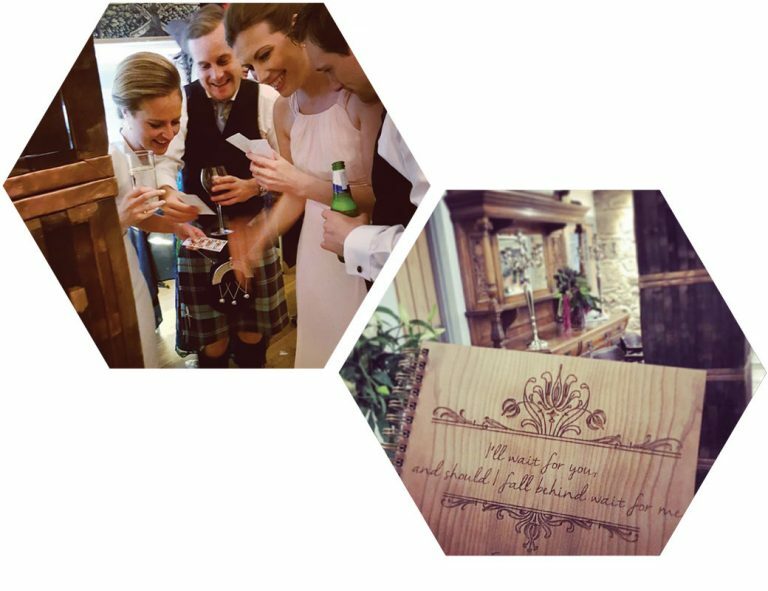 Turn your event into a story with your very own wooden guest book. 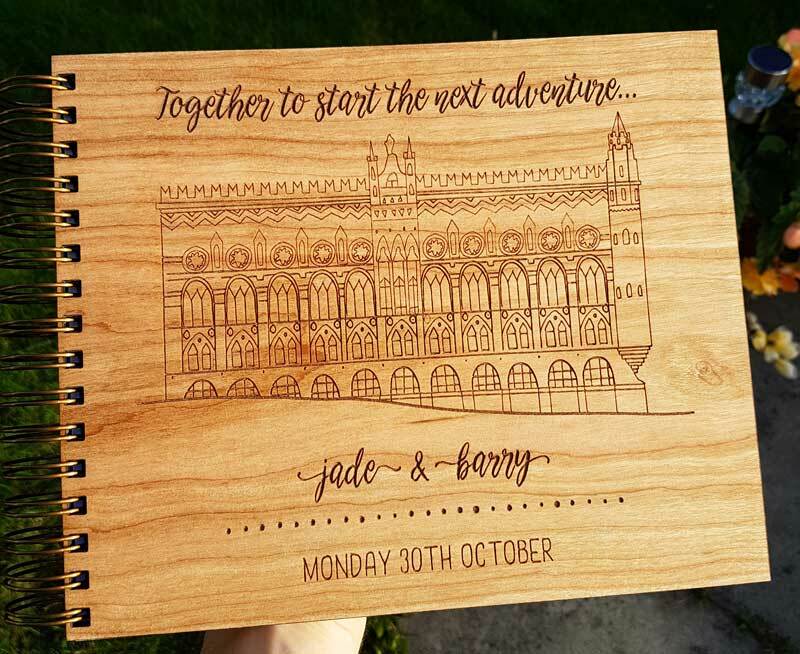 We have various options available with our popular and unique wooden guest books which you can also personalise. If you add a guest book to your hire we provide all of the necessary utensils. 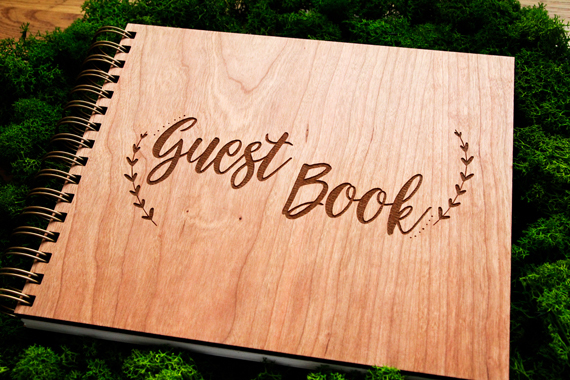 One of our attendants will take great care of your book and encourage guests to leave a copy of their prints including a lovely personal message for you. Sometimes the small details have the biggest impact. Custom print designs are a fantastic way to incorporate your theme, personality or even a special message for all of your guests to view. We listen to your design ideas and then create some mock up print designs. You can then let us know which elements you like or dislike and we will continue working on the design until you are happy to give the final approval. Need to secure your memories for the future? Each USB Drive comes in it's own wooden presentation box containing digital copies of all the printed and single images. This makes printing images off in large sizes a piece of cake. You will also receive a lovely timelapse video which is a montage of all of your guests using the photo booth, a perfect way to quickly share the experience with all of your family and friends. 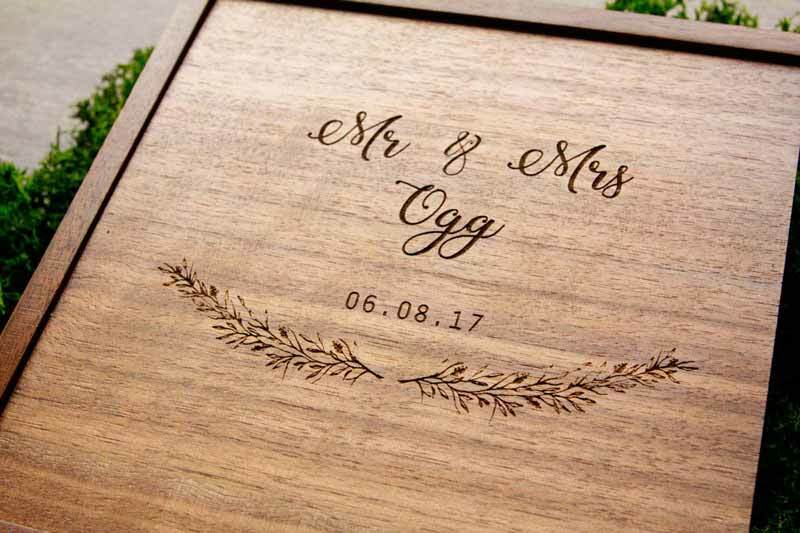 The ultimate keepsake, your very own Wooden Memory Box featuring a custom engraved wooden cover, 6'x4' prints of all of your single images and a lovely wooden USB Drive containing high resolution files of all of your images including the fantastic timelapse video. Store all of your memories and protect them for the future with this timeless and classic wooden memory box. Perfect for the bride and groom or as a gift from family and friends on a special anniversary. Boxes can be purchased without prints if you wish to add your own prints or ideas. You can order digital downloads and extra prints in various sizes and formats on your gallery. If you would like extra 6 x 4 inch prints then you can purchase these directly from Odd Box at a reduced rate. Treat your guests to unlimited digital downloads of their single images from your online gallery. Normally guests will pay £1 per download to purchase a digital copy of their photo booth images from your online gallery. You can ensure that guests can download as many images as they wish from the gallery with our unlimited digital downloads extra for a one off payment of £100. At The Event - How does the hire work? We take care of the entire photo booth hire to make it super simple and easy for you. We confirm all details with yourself and the venue beforehand, arriving one hour prior to your hire time to load in and set up the photo booth. Set up normally is complete within 30 minutes or less. 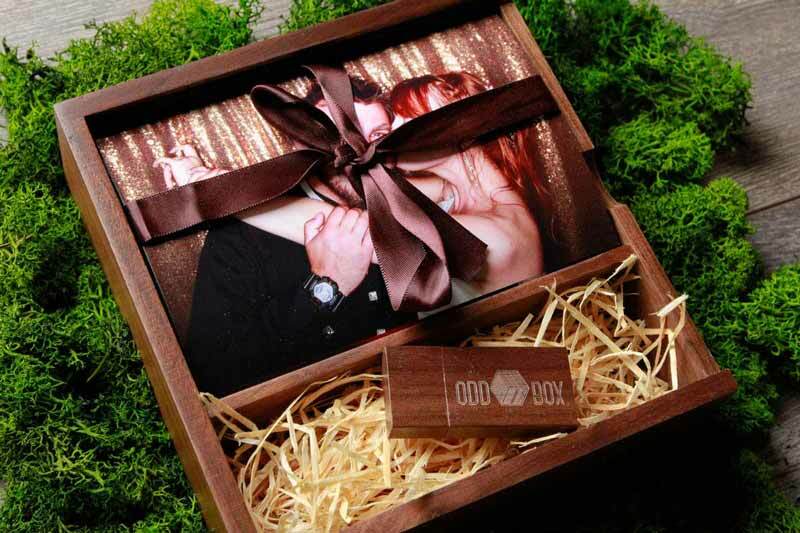 Odd Box Attendants will help and encourage guests to share some special memories together. Once your guests are familiar with the booth we take a step back and allow them to enjoy the full experience. Guests choose from colour or black and white prints, 4 photo's are then taken with a preview of the images in between so your guests can have a good old laugh at themselves with instant prints creating a perfect keepsake and memento. 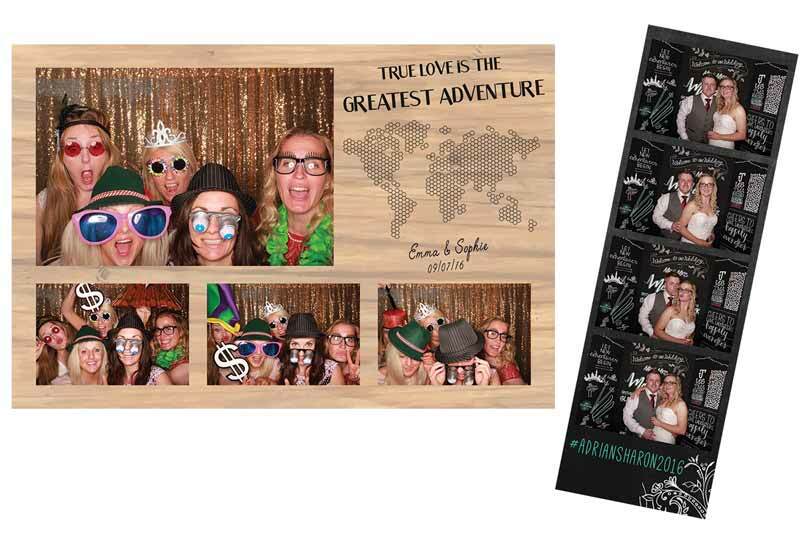 If you have used one of our photo booth's before you will know firsthand how exciting a photo booth can be. 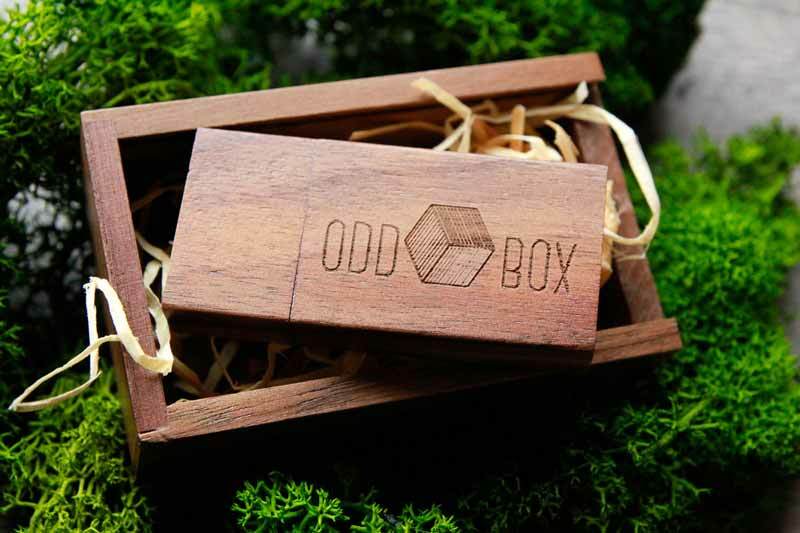 Odd Box will ensure you receive the experience you and your guests require so you have plenty of hilarious memories to look back on. Hire or Hassle - is it worth it? Don't take our word for it, our amazing customers have been so kind as to share how simple and easy their Odd Box experience was. If you would like to book your Odd Box photo booth then simply complete a short booking form and we will be in touch via email with a final quote and an invoice to secure your date. Still undecided or have a few questions but would like to check availability for your date? Feel free to get in touch today and we would love to answer any questions you may have. If you would like to discover how you can add unique extras to make your day that extra bit special we have beautiful examples of what we can offer.